Sandwiched between the Yorkshire Dales and the Lake District, the Rural Auction Centre could not be in a nicer location. 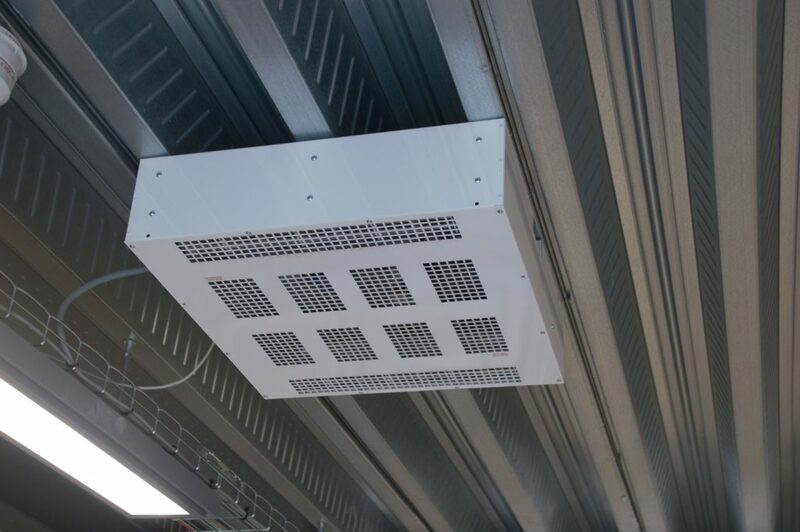 However, when a BN Thermic engineer arrived on site in November 2017, the wind was howling, the temperature was sub-zero and the need for an efficient heating system was self-evident! The building in question was generally used to exhibit antiques and collectibles but at a moment’s notice may be required for a social event such as a champagne reception. It was therefore vital that the proposed heating system did not interfere with the positioning of tables, display cabinets or other fixtures. The solution was to use ceiling fan heaters. 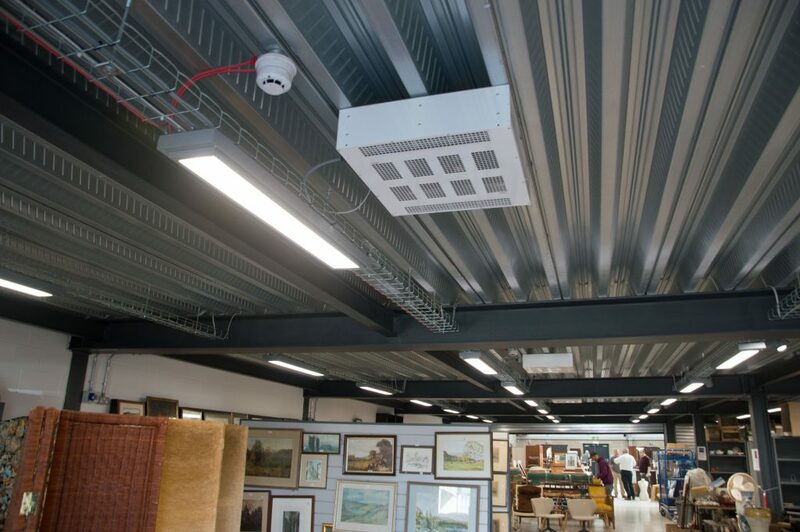 BN Thermic ceiling mounted fan heaters are only 152mm deep making them barely noticeable in a commercial building. A total of seven 6kW heaters were proposed from BN Thermic’s well-known System X range. The big advantage of System X is that all control connections are made using Cat5 cable. The result is super-fast installation time and zero connection errors. The proposed controller provided adjustable thermostatic control and a ’fan only’ setting for improved air circulation in summer. If you recall the prevailing temperatures towards the end of 2017, you will understand that this project had to be undertaken with a degree of urgency. The proposal was submitted the day after the site visit and within a week the order had been placed and the heaters were on site. 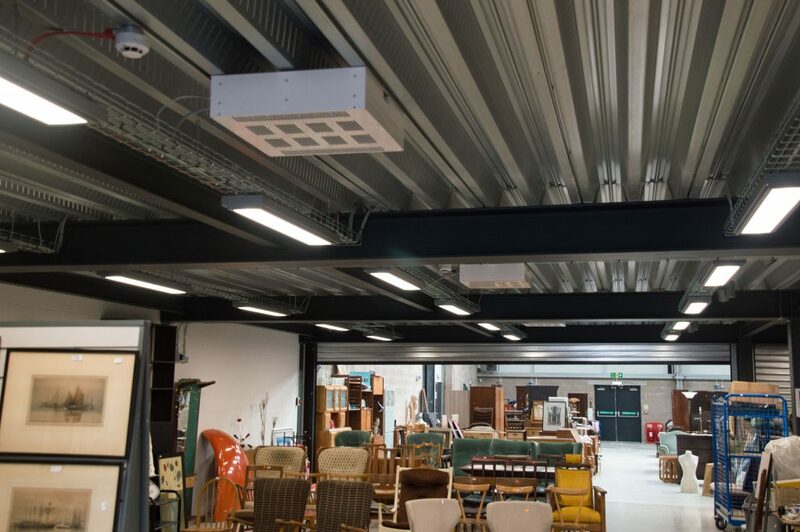 We are delighted to report that the Director at the Centre is absolutely delighted with the performance of the ceiling fan heaters and the service provided by BN Thermic.